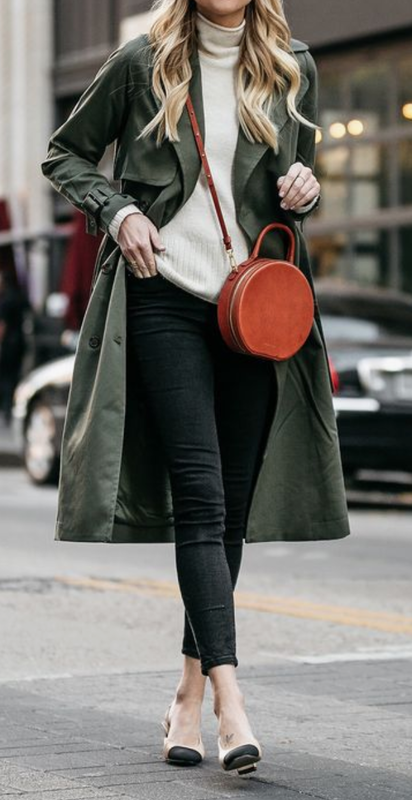 Trench coats continue to offer so much choice and variety, this lighter-weight long coat is still one of the best go-to options for Spring. 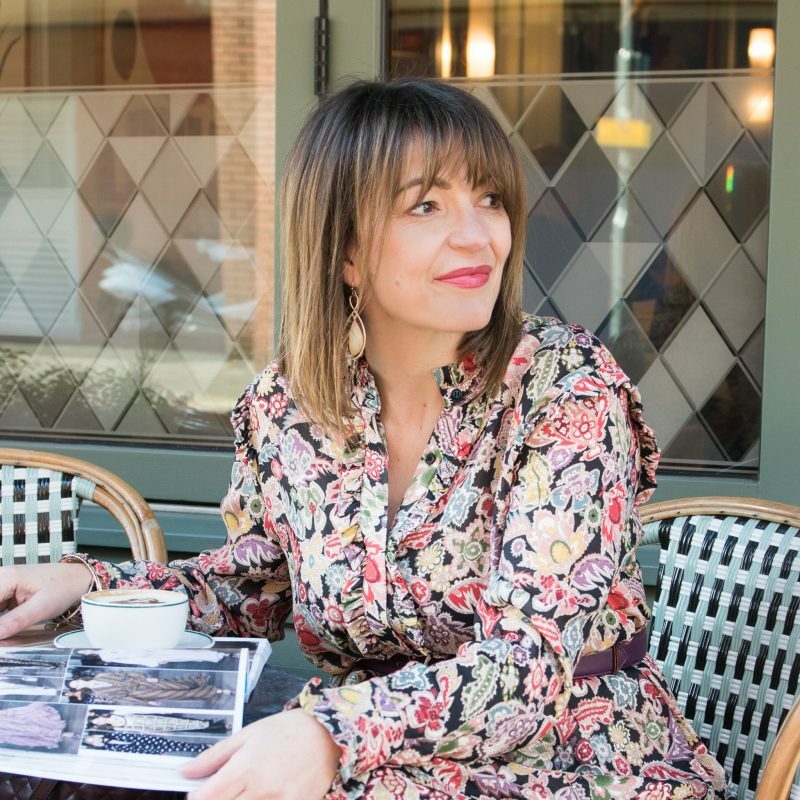 And with it you can play with colour, with length and it’s a fabulous item for styling up or dressing down. 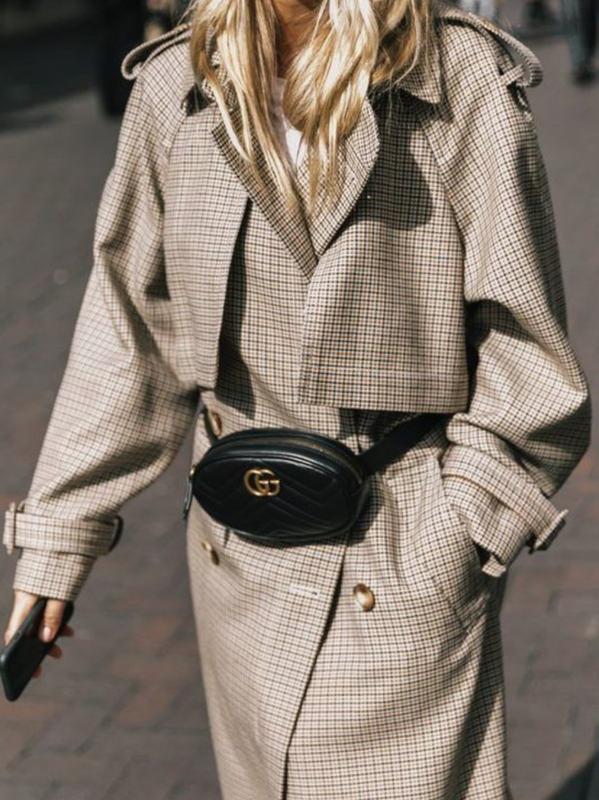 For either fit, it needs to fit well on the shoulders, if it’s too big this style of coat can add a lot of weight to your overall look, and no one wants that! 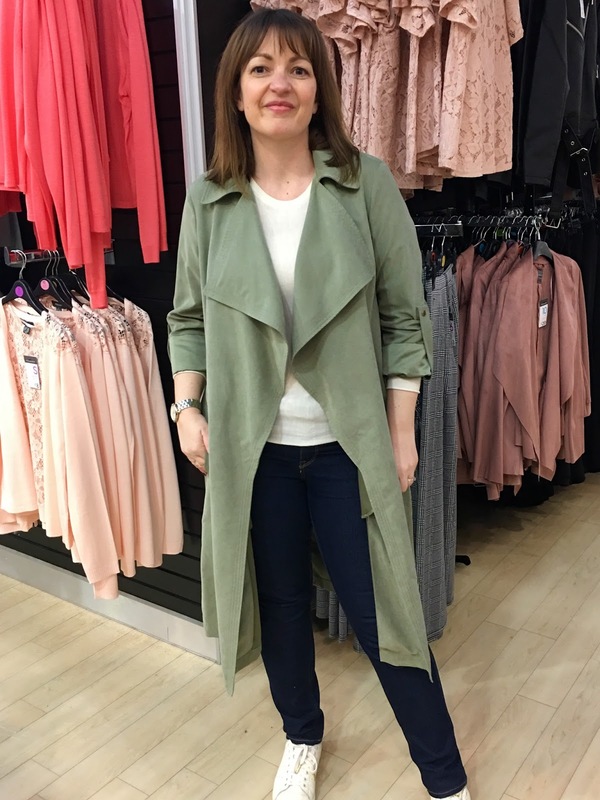 First up is the coat that’s currently in store at H&M – I love the longer length and it comes up very big, I had to downsize at least one size to get it right on the shoulder. 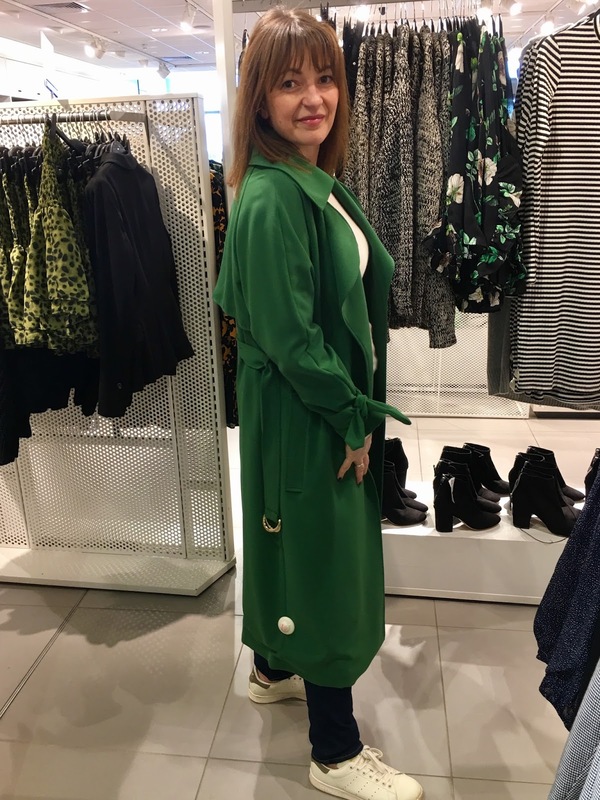 I love the colour of this green, it looks very modern and fresh for the new season. 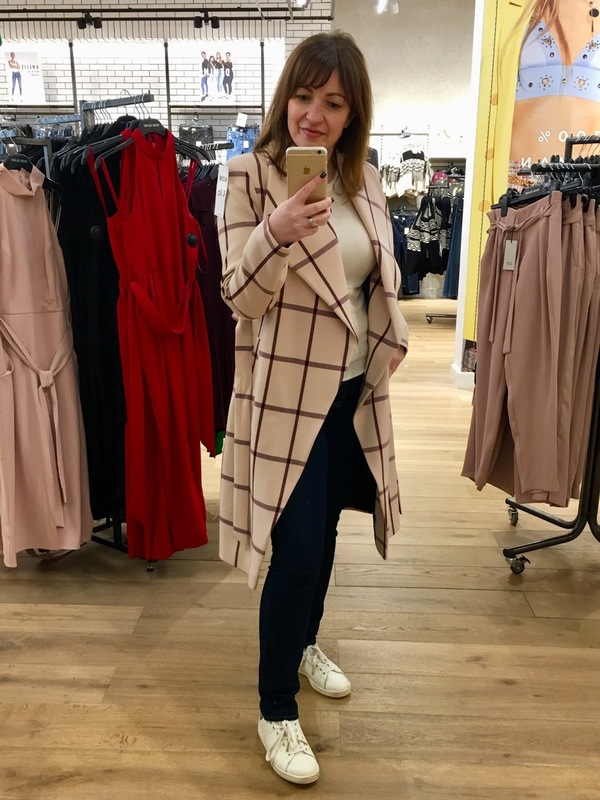 Now I found this gorgeous pink-checked coat in River Island, I did Instagram it on the day because it was reduced down to £50 from £89 – not surprisingly it has sold out. I’m still showing it to you for style inspiration, because a large check like this is very much on trend. 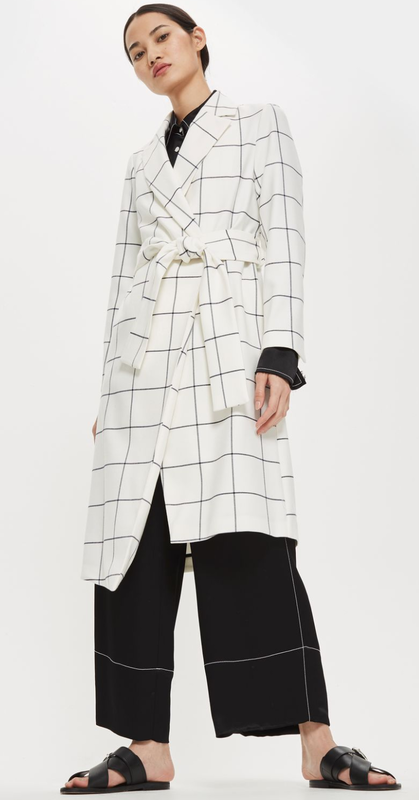 I have found you an alternative checked option, this is from Topshop and I think looks glam – You will turn heads in the office walking in wearing this one! 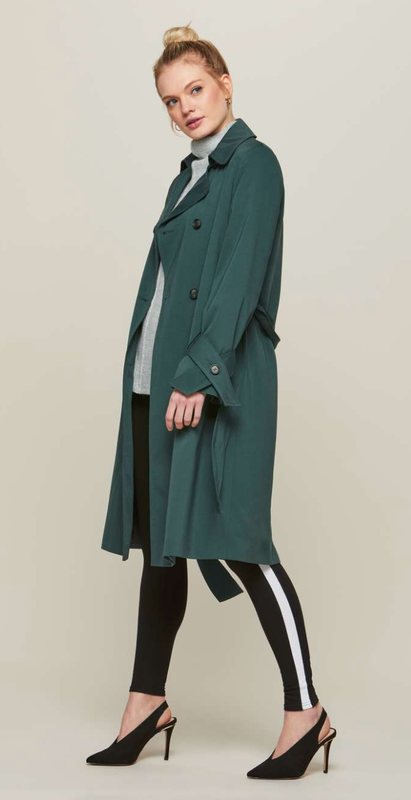 My last few posts I’ve featured striped trousers, and a trench coat over them with high-heeled pointed shoes, looks just fabulous!!! 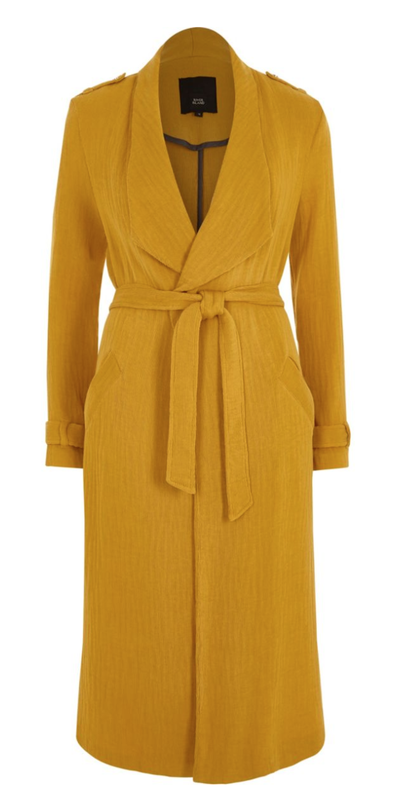 I’m loving this option from Miss Selfridge. 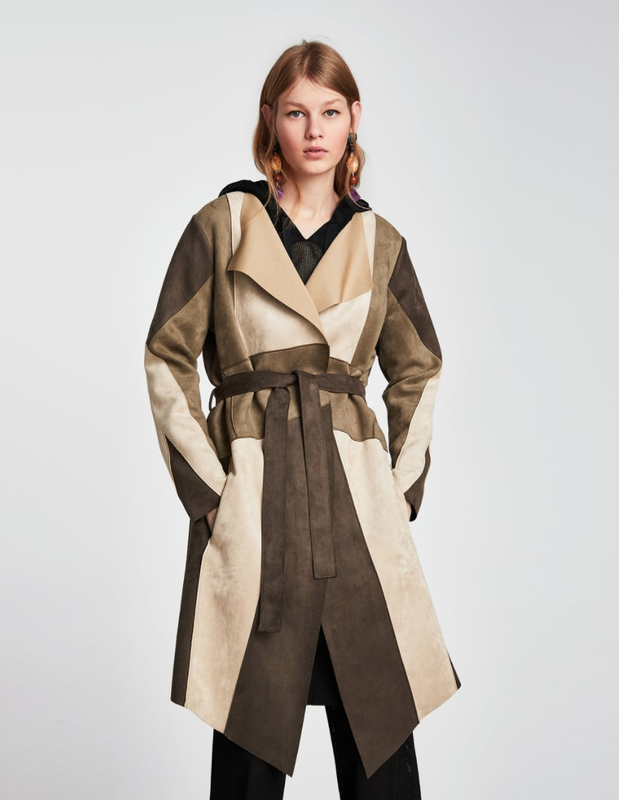 This next one from Zara is very different, and if you invest in this piece it’s not a classic and so I guarantee that whilst you may love it today (and I certainly do), I don’t think you’ll be so keen in 12 months – so get as much wear from this, this season. 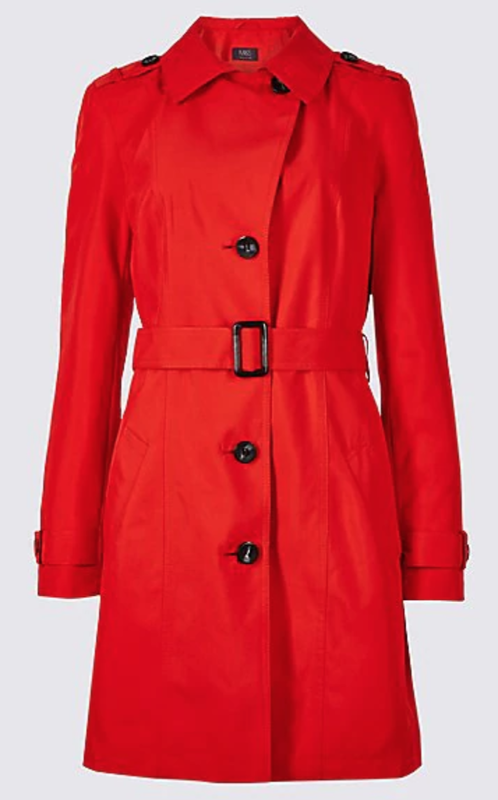 Now if you want classic, long-lasting quality, a choice of colours, and most importantly you want it to be showerproof, then your best bet is this one from M&S – it comes in red, yellow, classic pebble, a variety of blues plus more and it’s only £45! 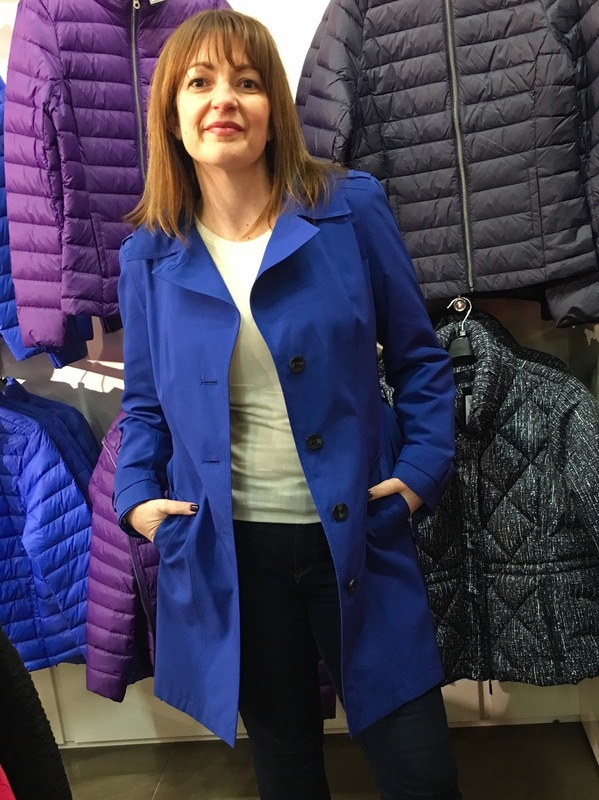 It’s a shorter length, ideal if you want one suitable for office wear, especially if you are a commuter; the shorter length will be more comfortable to travel in and the website even goes on to say that it is creased resistant, which is a big bonus when you need to look professional throughout the entire day! Sizing is true to size. 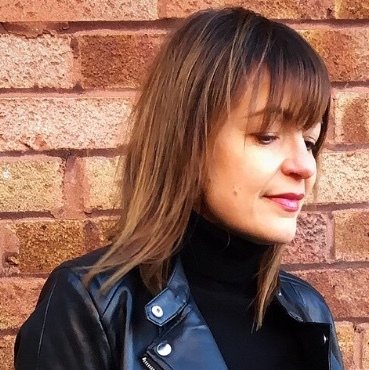 The post Highstreet Trench Coats for under £80 was on Loved by Lizzi first.